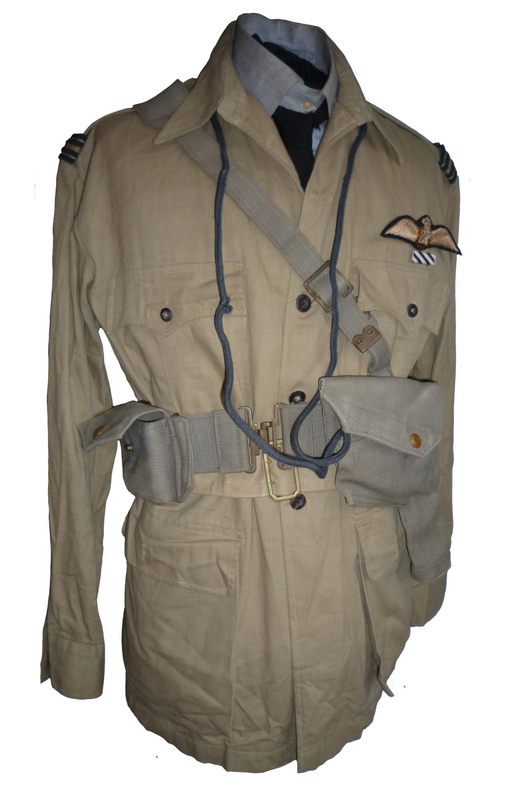 I call it an Irvin but i think it might have been made by one of the other manufacturers of leather flying kit due to the supple differences in the styling especially in the collar. 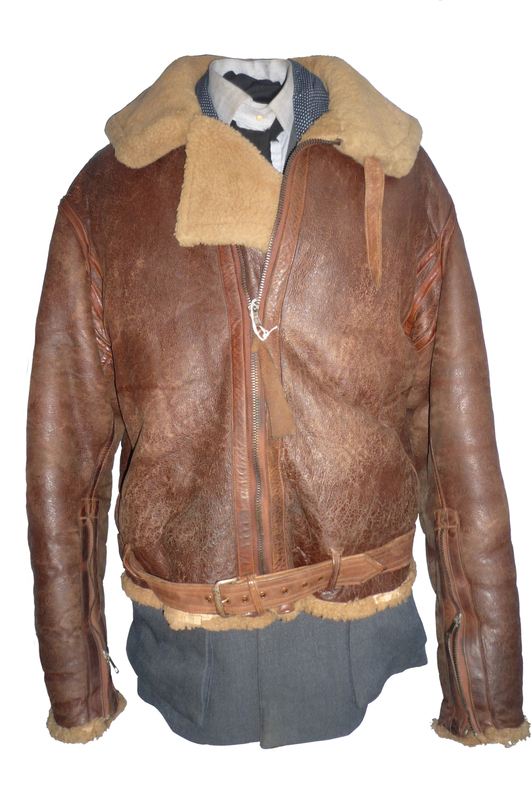 This is the jacket he wore on operations. 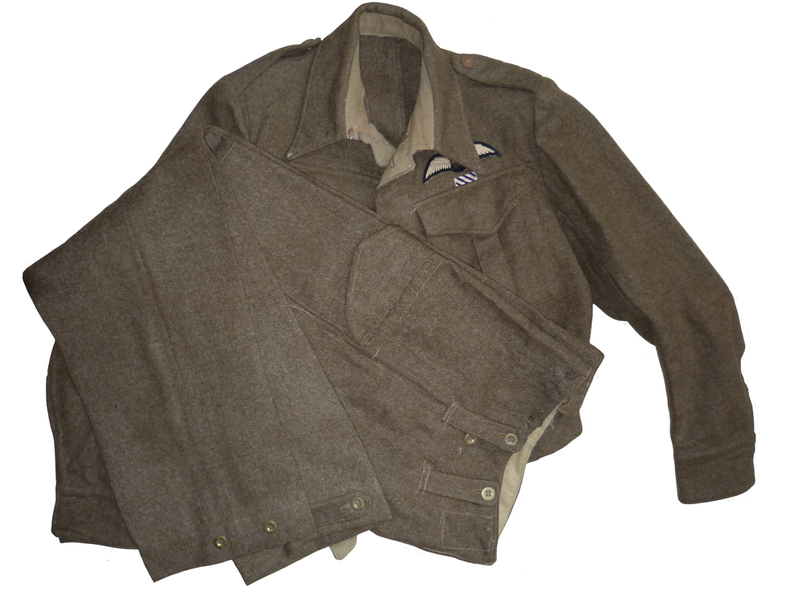 Curtis’s British army blouse & trousers. 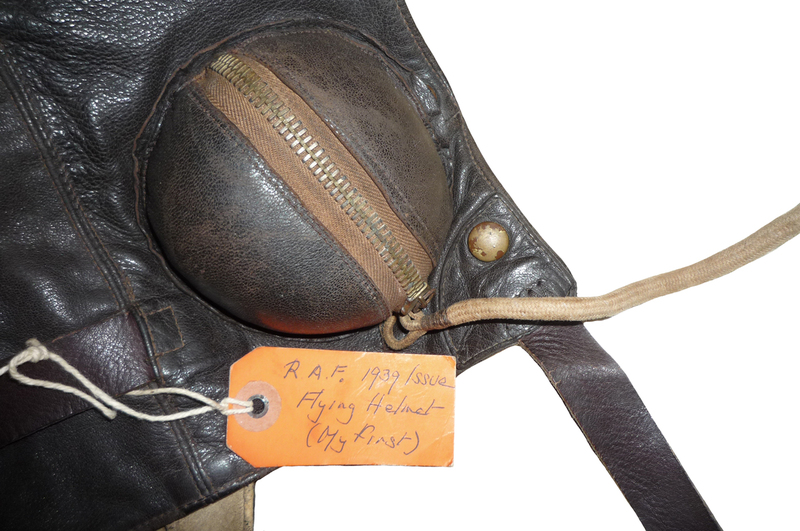 Flat pilots bagde & DFC ribbon, no sign of rank tabs but a pair of badges have been removed from the shoulders with traces of black cotton thread remaining, i wonder what they were?? Fl/Lt. I’ve paired this up with Curtis’s 27 pattern webbing although all these peices are match dated 1940 made by ME & Co. Topping off the outfit is his pre-war quality side cap. The badges & buttons to the cap are far far superior to war time quality being gilt & exquisitely detailed. 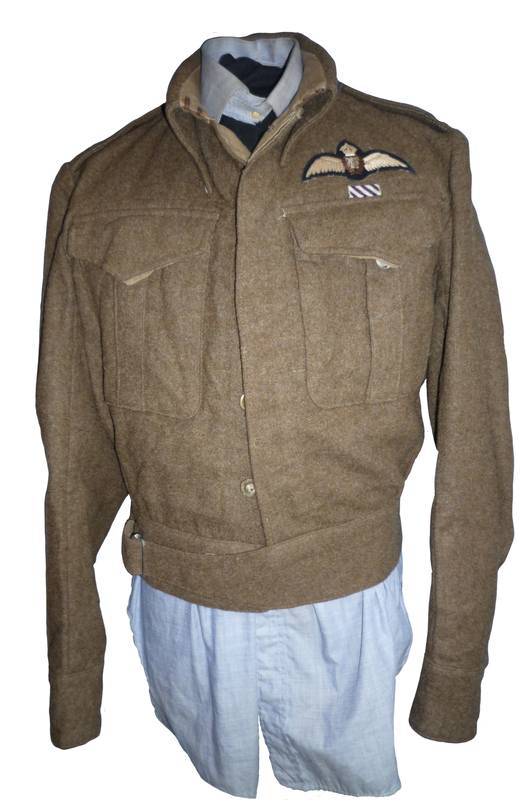 This is a tailor made replacement for his now tatty circa 39 tunic this one being dated 1943 & named to S/L Curtis. 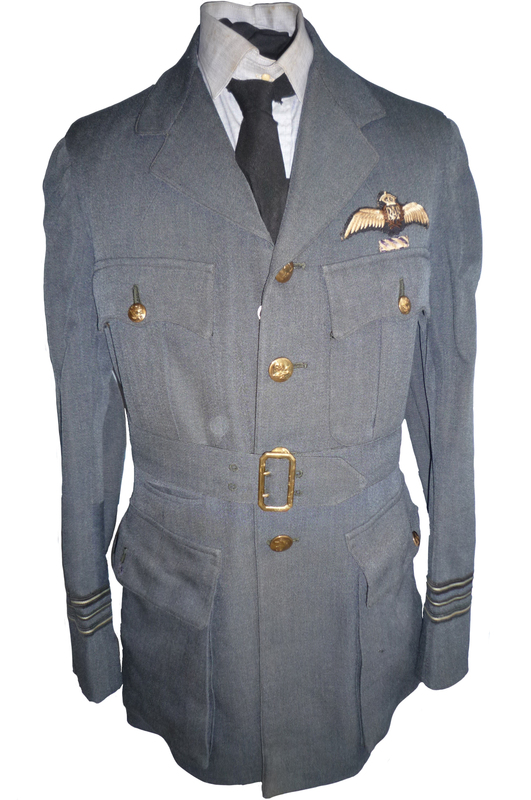 However post war like many other ranking airmen to stay on in the RAF he took a drop in rank resulting in loosing the inner rank tape. Also note his full run of medals, another post war indicator. 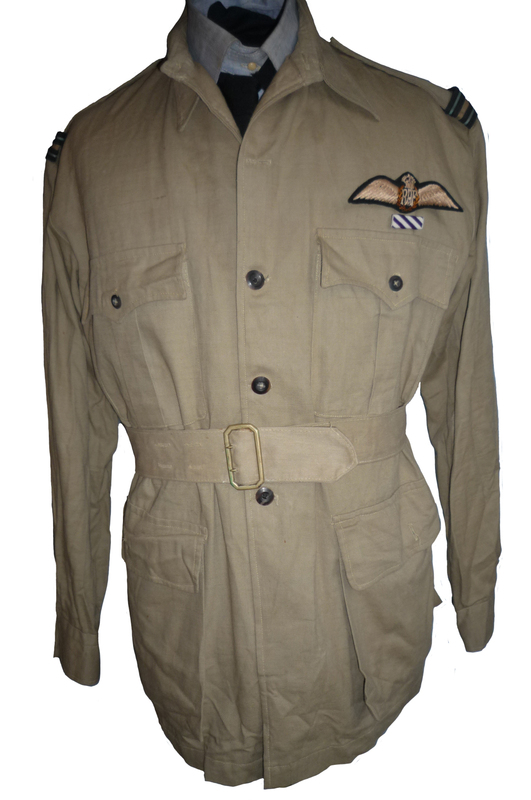 His first service tunic circa 1939 when he was commissioned which over time & promotions has been made up to S/L. 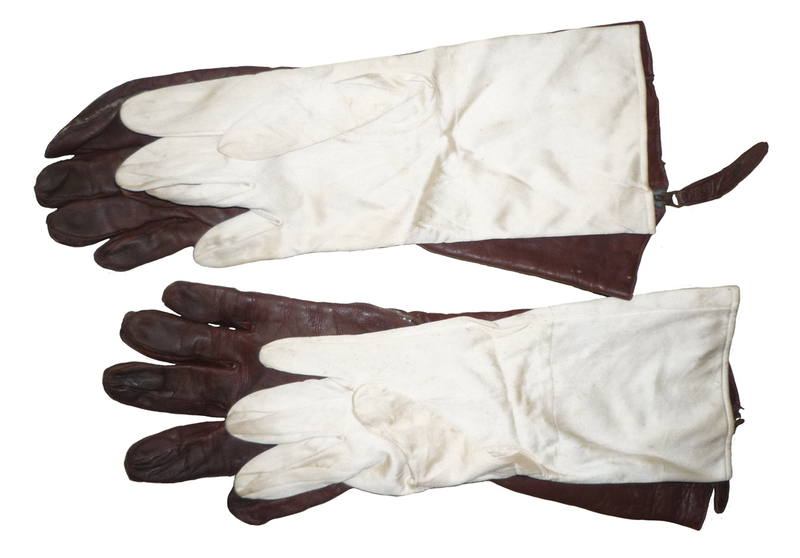 It’s in very worn condition with fading & tears to the lining and a replaced lower right hand sleeve. 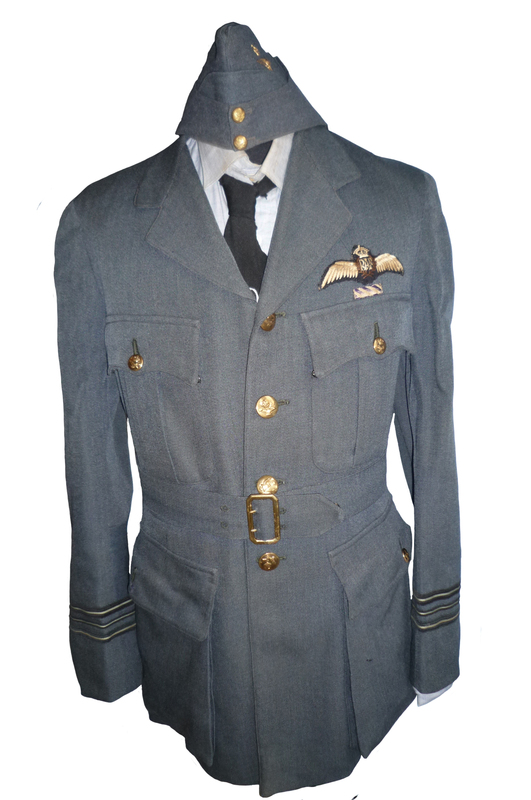 Note the front buttons, standard NZ, RAF, USAF and RAF, obviously proud to have served within 3 air forces units. Highly illegal within the RAF somehow he managed to get away with it. He wore this on operations so i can excuse the tatty appearance and the sweaty smell!! 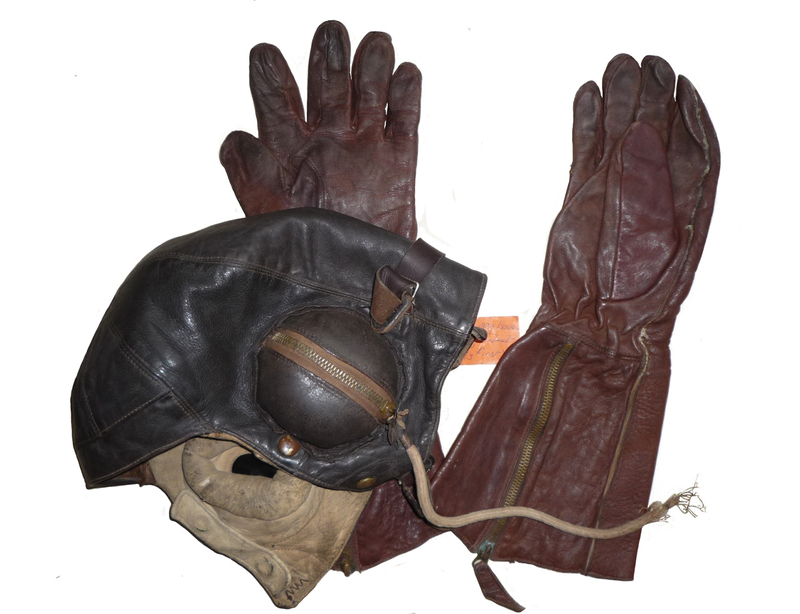 His B type helmet, silk inners & 1940 pattern straight zip gloves. 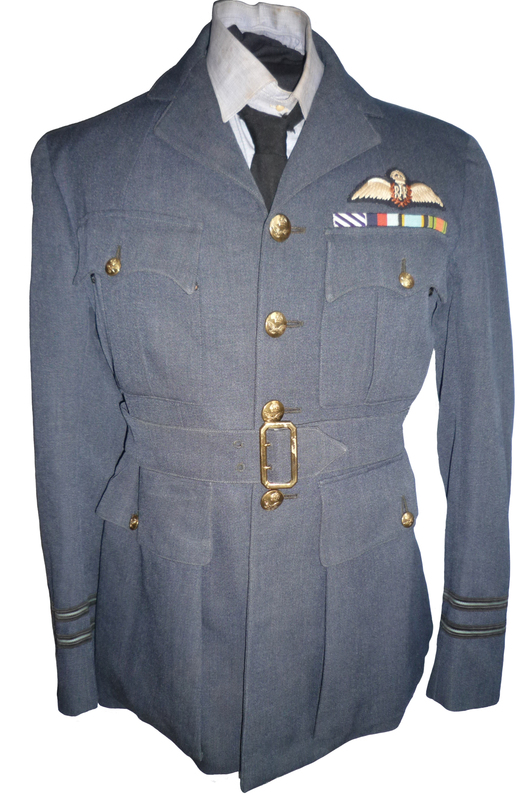 Again worn on Ops they team very nicely with the flying jacket & service tunic. The D mask has been chopped off only the receivers, rubber sponges & leads remaining. The label in Curtis’s own hand reads “My first helmet” A lot of his gear was so labelled which is a lovely touch.